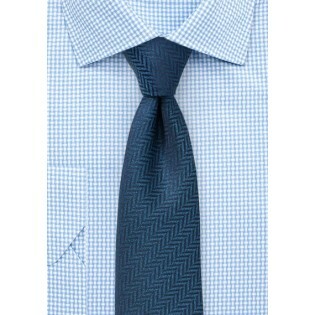 This rich teal blue tie features a finely woven herringbone pattern that runs diagonally down the tie. 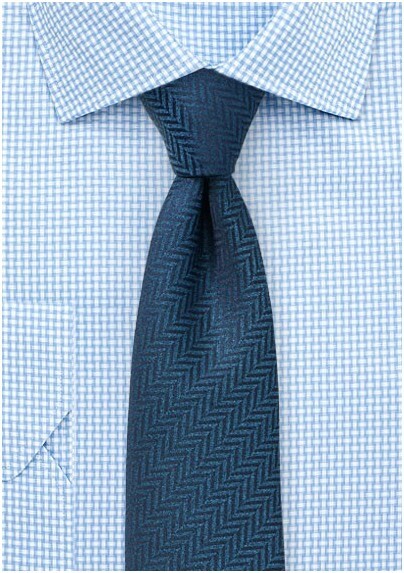 While mostly solid in color, this herringbone design creates just enough uniqueness to make this tie stand out from all other solids in your collection. For best looks pair with white, black, or gray on your shirt in either solid color or with stripes. Made from woven microfiber. Also available in classic navy blue, and wine red.